The tech world has been buzzing about Amazon’s new Kindle Fire tablet this morning, which just so happens to be running a custom version of Android. At just $199 and with access to all of Amazon’s services including Prime, music, cloud storage, books and magazines, this may be one of the most influential tablets to see the light of day. With that said, we are seeing a pretty mixed reaction from readers in the comments this morning and want to get a better feel for this device. It’s running Android (possibly 2.3 or 2.1 depending on who you ask), but you almost can’t tell since Amazon has customized every last ounce of it. Some of you are into it as a nice media device, yet others are a little turned off by the fact that it’s not really an Android tablet and lacks a camera. Oh, we are also pretty sure that it won’t have the official Android Market and will instead utilize Amazon’s Appstore (not surprising by the way). So tell us, are you planning to buy one? 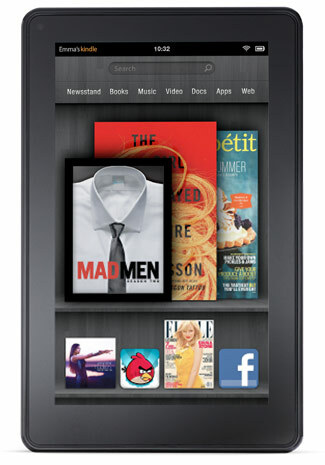 Planning to Buy the New Kindle Fire? Yes, buying one the day it comes out (or pre-ordering). Not sure, but I have 2 months still to decide.